Letters are special symbols that could be formed to some meaningful words. They are amazing decoration idea for your home for their attractive looking and symbolic meanings. DIY decorative letter decor is simple to create and there are SO many options to make. They add more beauty to your home. In this post we have included some creative and pretty DIY decorative letter ideas & tutorials for your inspiration. Read on and get crafty now! This layered burlap monogram adorns a wall, table or shelf in any room; teens can make their own to add a touch of style to their own room decor. Learn how to make it via loveoffamilyandhome. 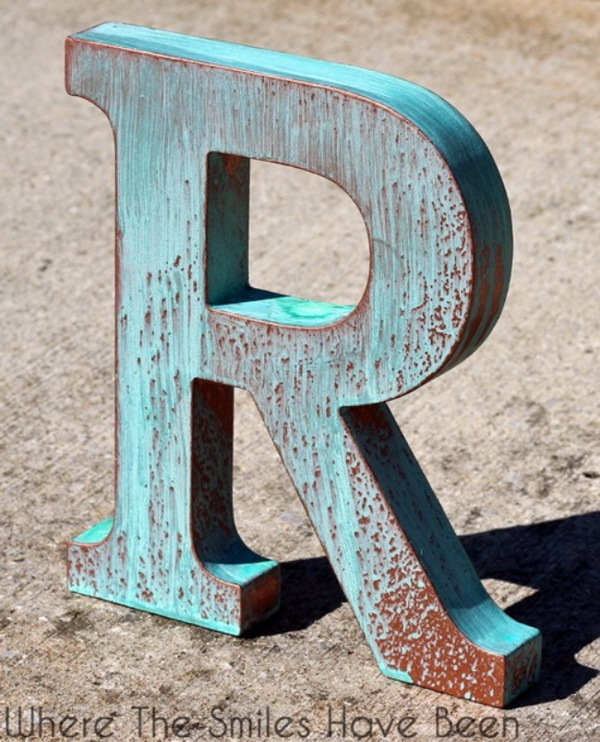 This painted wooden letter is super easy to make and looks perfect when haning in kid’s room! Get the instructions via craftcuts. 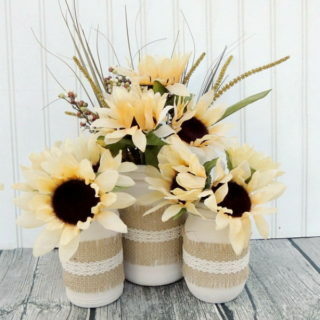 Super quick and easy project that you can make for your decor! Looks great on your fall mantel and add a touch of rustic warm! 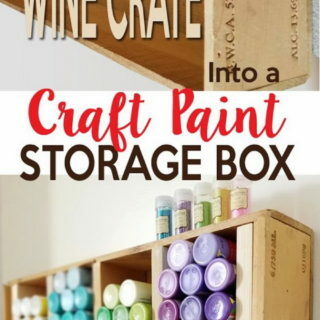 See the DIY instructions via thehappyhousie. Pink and gold wall letters for nursery decor with shabby chic charm! Washi tape has literally taken the design world by storm. Like this one, seriously EASY to do in several minutes! See the easy tutorial via alittlecraftinyourday. Floral letters make a strong statement in any decor style. Give this lovely and pretty one a try with the instructions via youtube. 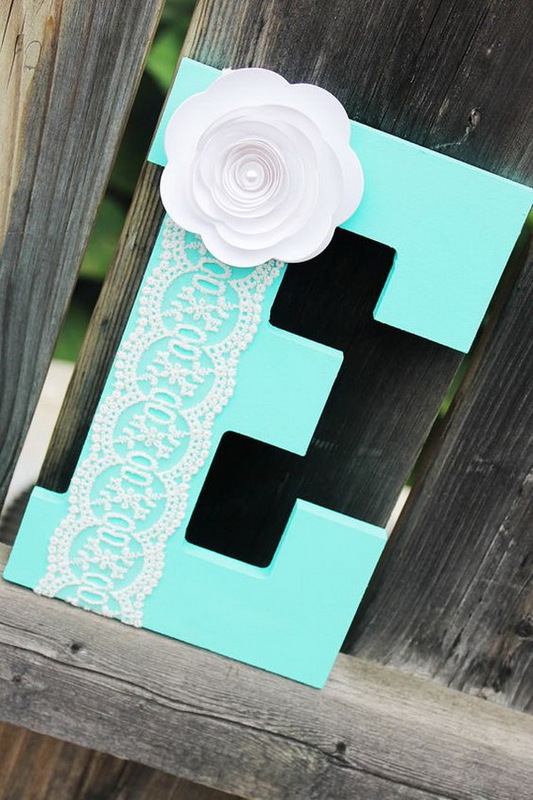 Totally bring a touch of shabby chic charm to the decor with this DIY letter project! See the tutorial via wherethesmileshavebeen. Both useful and beautiful! Who can resist this one for their studyroom? What you need are just some pieces of fabric and cardboards. Get started to make your own one following the tutorial via onegoodthingbyjillee. Felt balls add a quirky, whimsical touch to any room with their soft, cushy texture. DIY felt ball letters are great for the nursery decor with its wide variety of colors and sizes! Try to make one for your littles’ room! Tutorial via projectnursery. Prefect for the home or wedding decor! See the instructions via blog.lulus. Take the small toy cars that will never be wanted to decorate letters! Perfect for boys’r room decor! Any boy will love this in their room! Creative and easy to do! See the tutorial via welke. 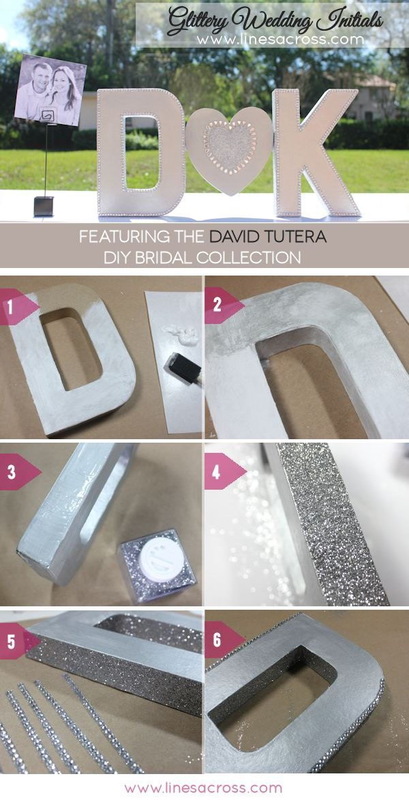 Create a nice sparkling, kind of romantic looking text effect for your wedding with these decorative mentallic letters! See the DIY instructions via linesacrossreviews. Even the most humble of materials can be downright decorative. This letter project can be a good proof! Totally add the industrial charm to decor! See the tutorial via learningcreatingliving. 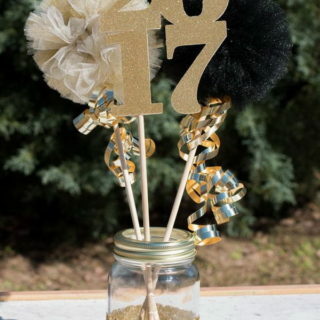 Yarn wrapped letters can add a delicate charm to decor! Super EASY and QUICK to do! 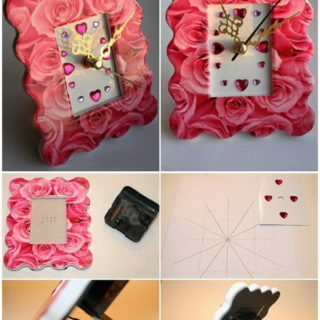 See the simple directions via diycandy. Ombre crayon letter are the best DIY decor piece for classroom or used as a teacher’s day gift! Tutorial via craftcuts. Super cute and relatively easy! Look great in kid’s room! Love the bright color and the delicate lace and paper flower details! It can be the unique baby gifts! 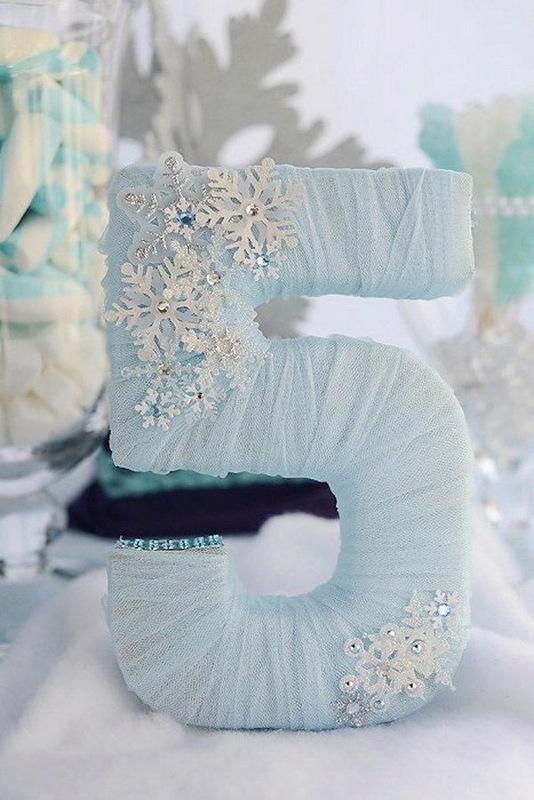 Make these beautiful tulle wrapped letters for a disney frozen themed party! See more details via karaspartyideas. Another DIY version of DIY decorative letters made with vintage map pages! Perfect for the wall decor of a study room! Tutorial via lauratrevey. Button art – Perfect for birthday party decoration. Easy to make and extremely creative! Tutorial via sadtohappyproject. 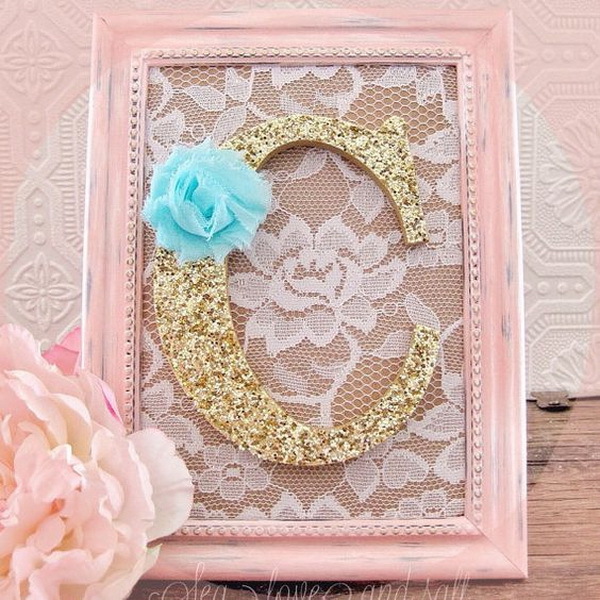 Make a pretty decorative letter with faux flowers for teen girls room decor! Totally easy and quick to make in hours! See the DIY instructions via decoist.